Exquisite Income Producing Commercial Property with 5000 Sq Ft. 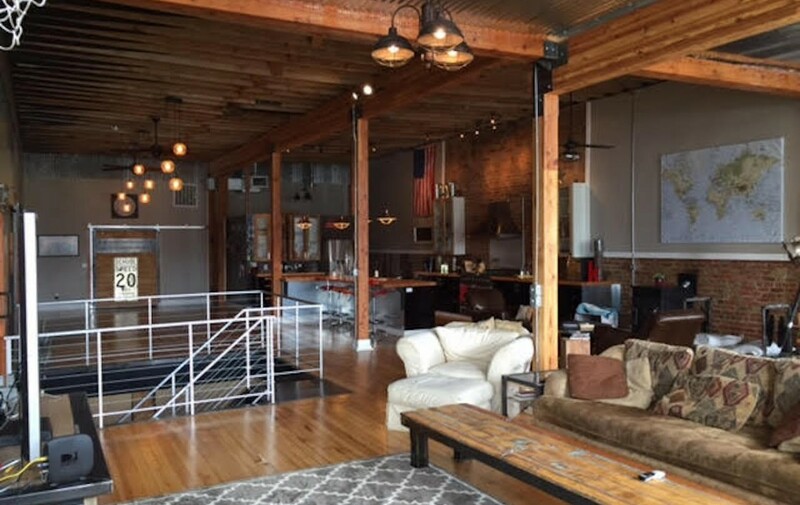 Residential Loft. 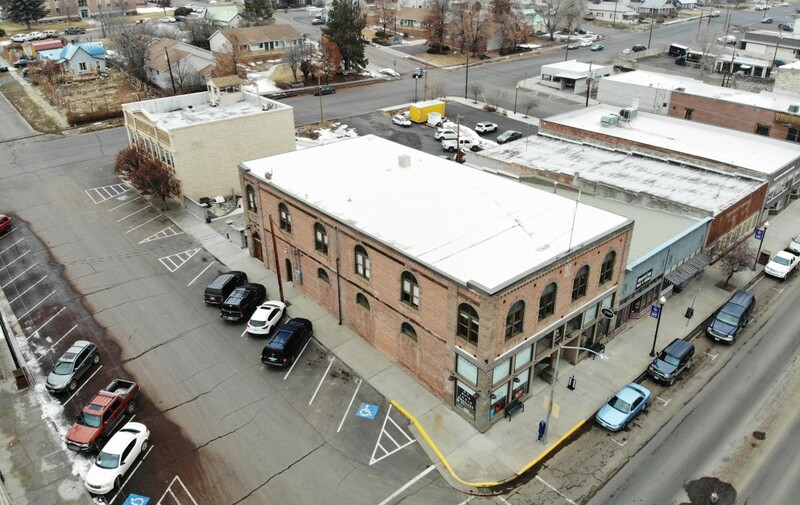 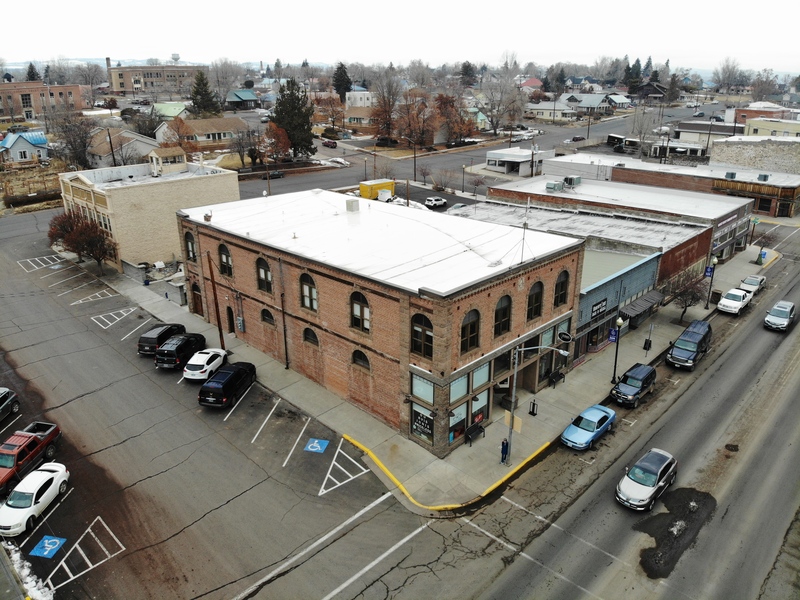 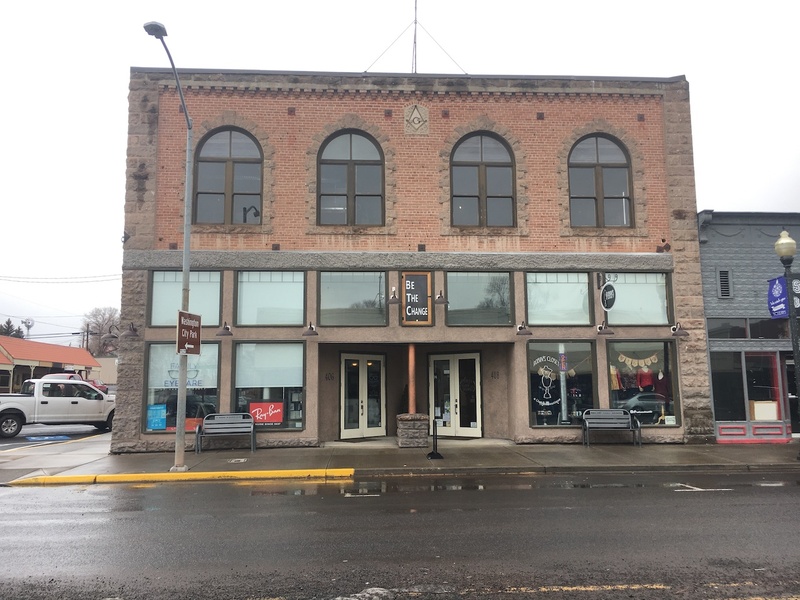 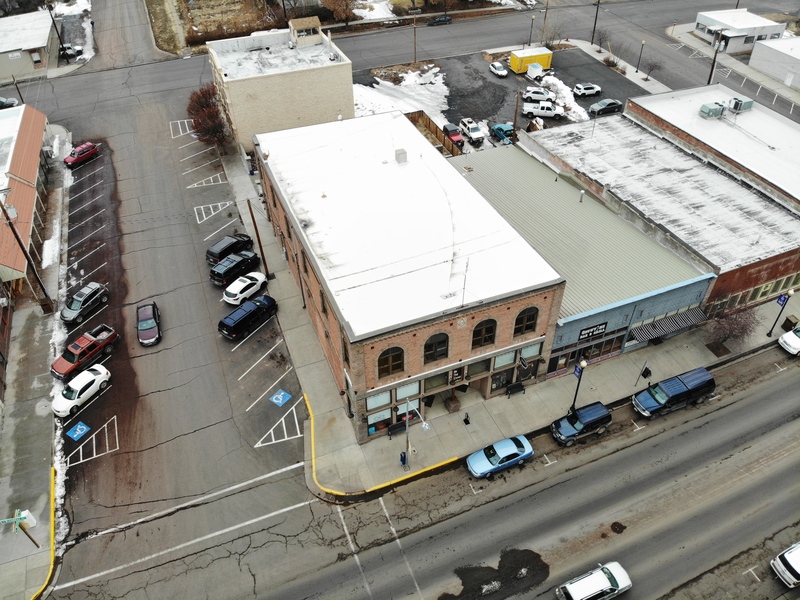 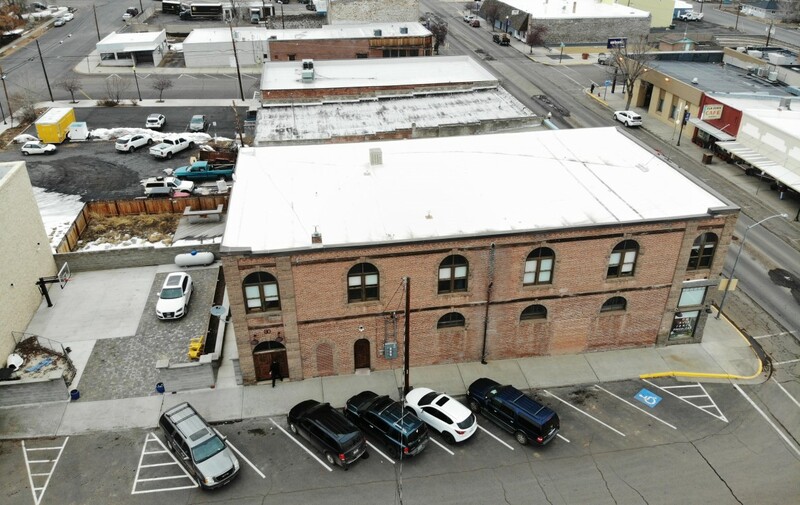 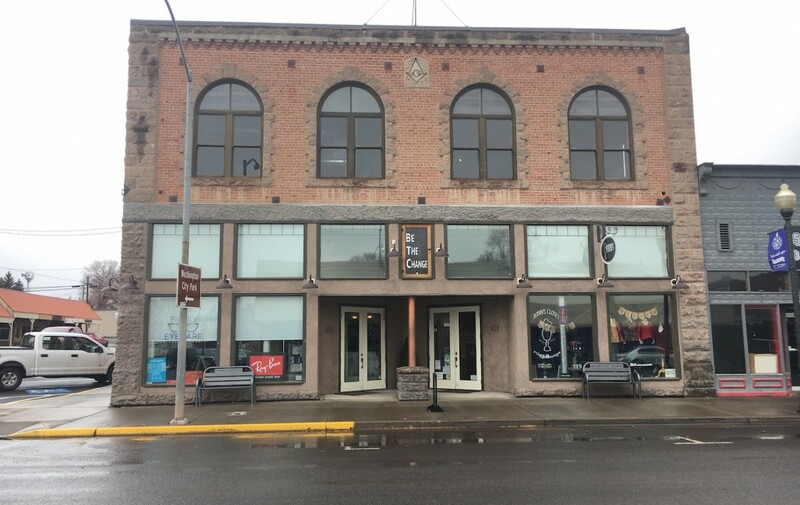 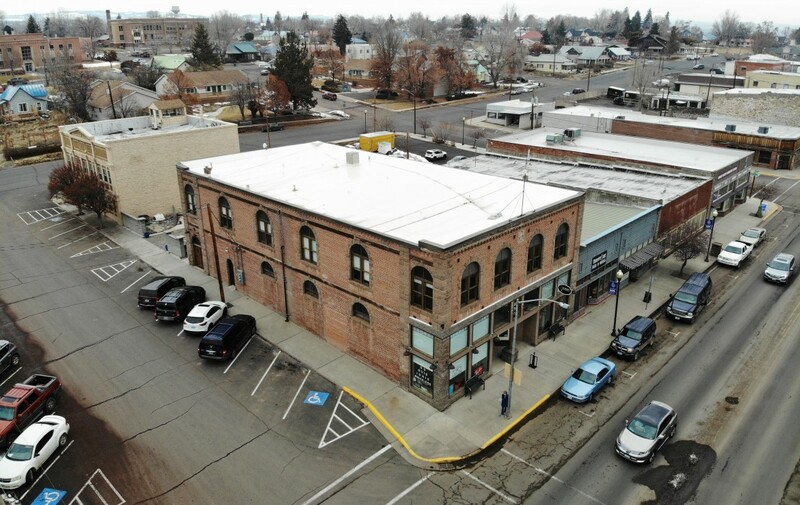 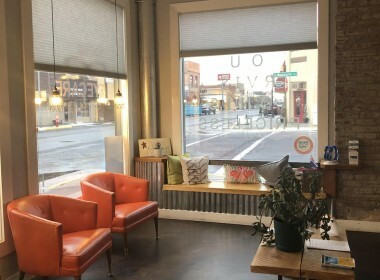 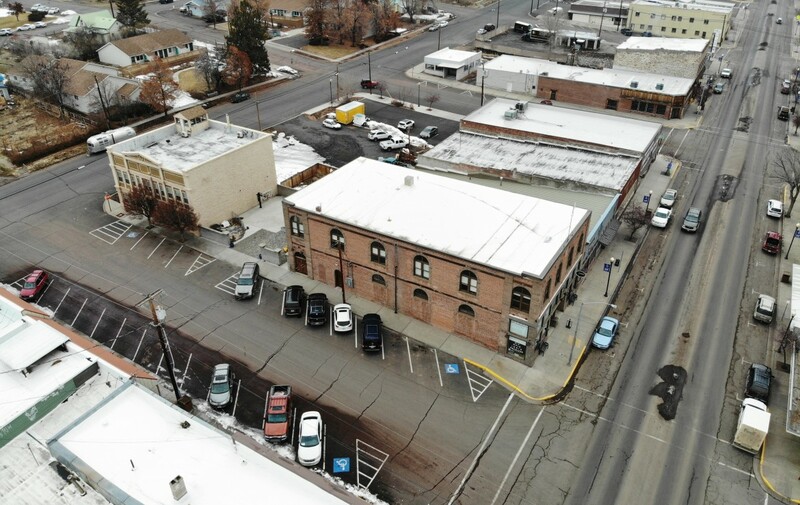 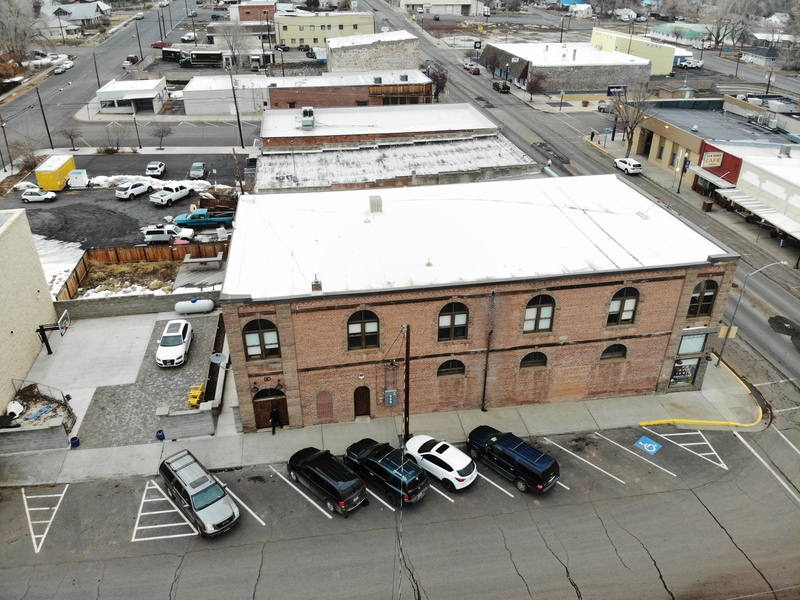 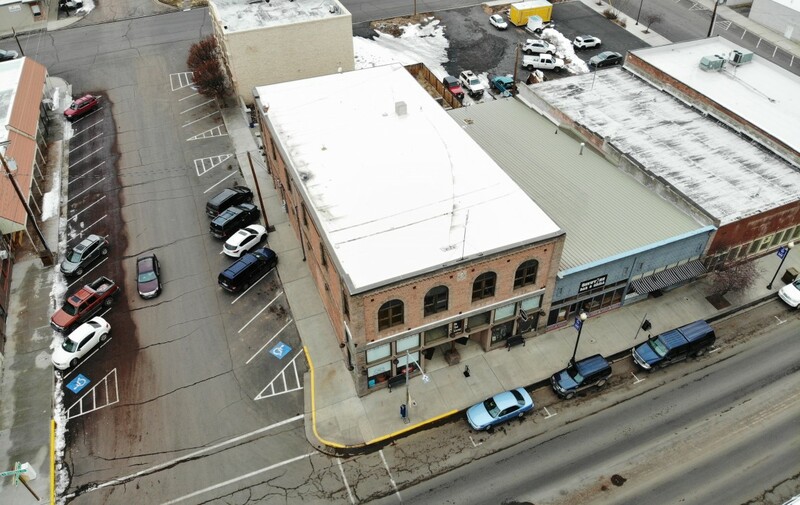 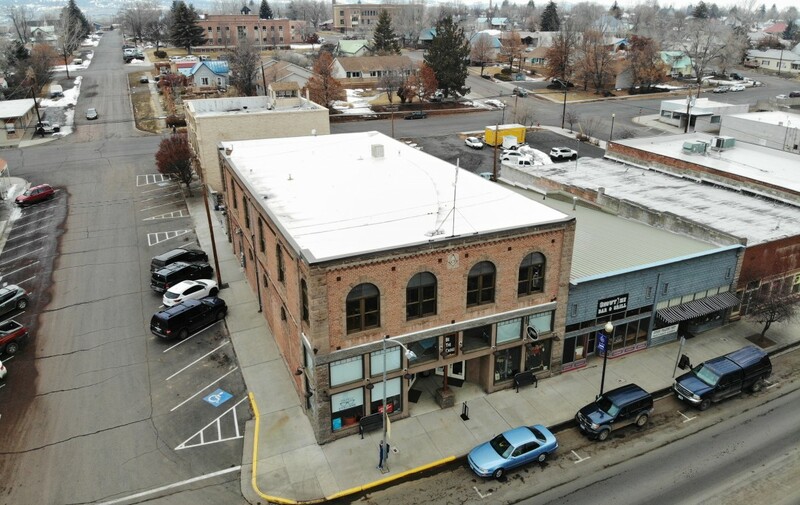 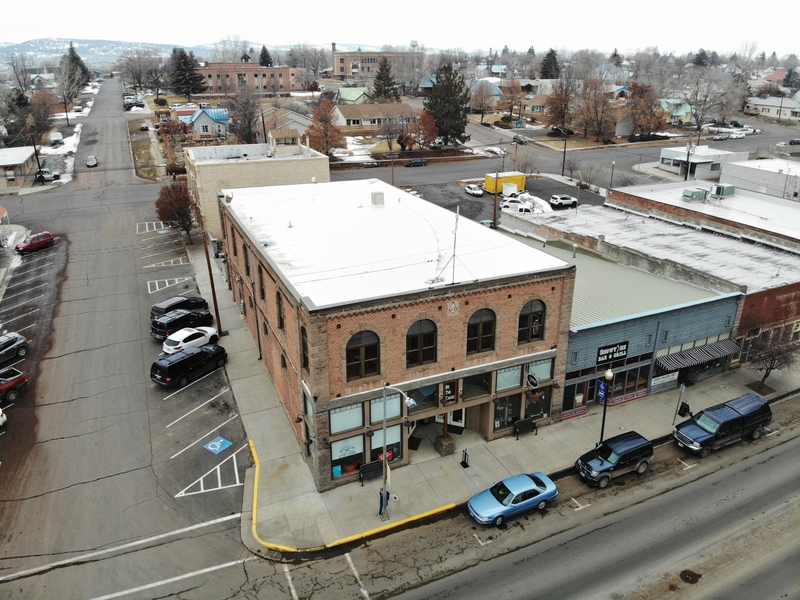 Prime commercial property in historic downtown Burns Oregon. 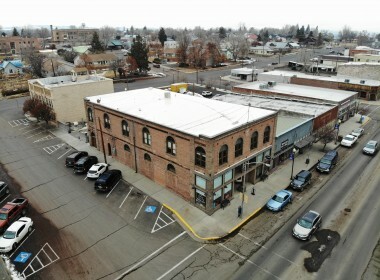 This is one of the best corners of town, at least that is what the Mason’s thought when it was built in 1910. 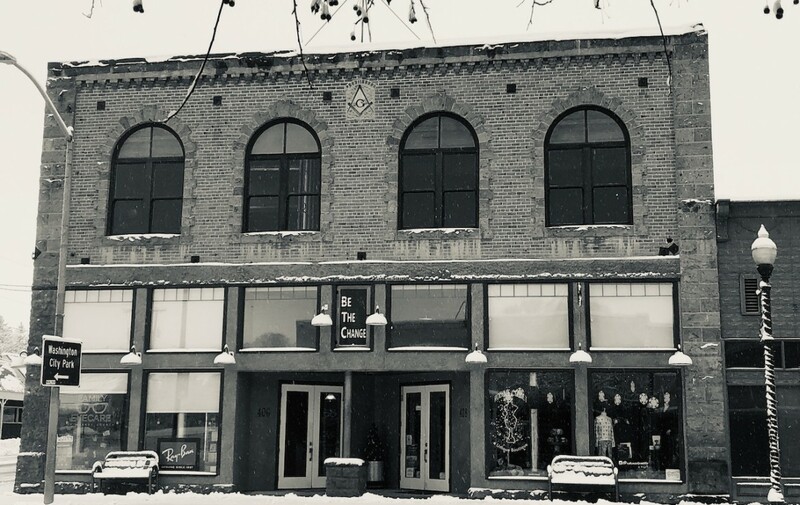 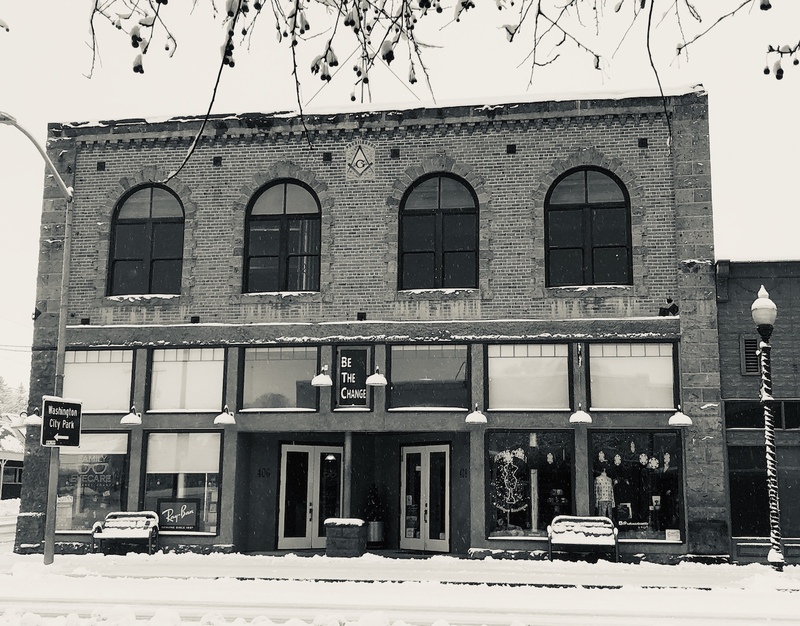 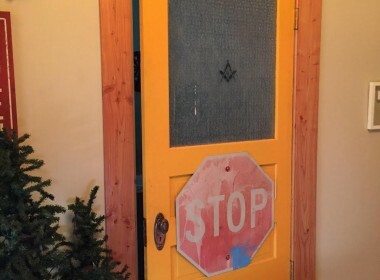 The historic Masonic Lodge served them well for many years, then it was a hardware store for many years. 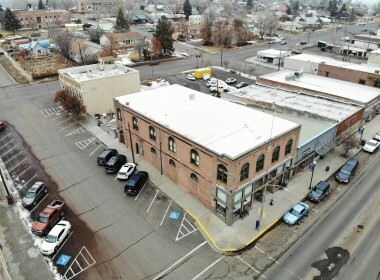 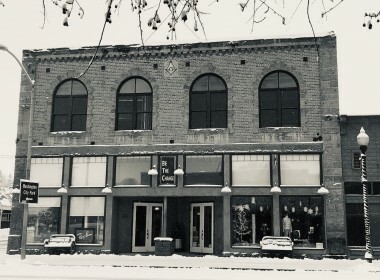 The building was then purchased in 2013 by local owners who completely took the building down to the studs and rebuilt and remodeled the entire building. Taking good care to leave the historic value of the structure, yet adding modern supports, heating, cooling and electrical to the building. 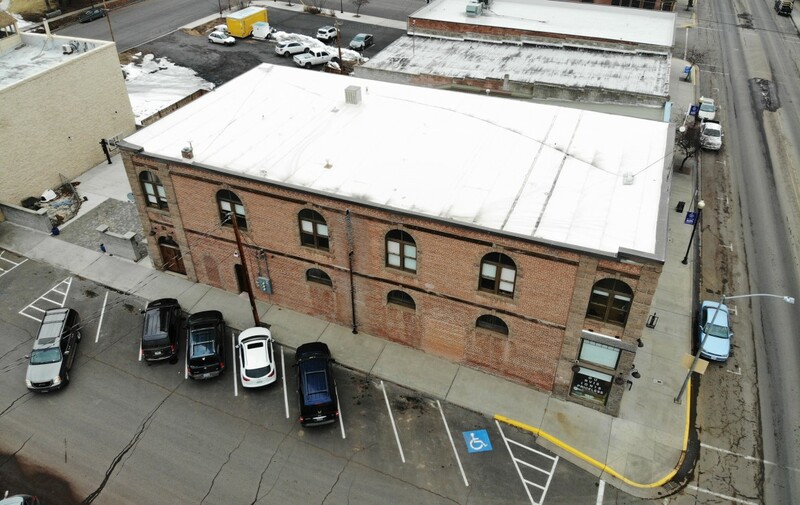 This building now serves multiple purposes. 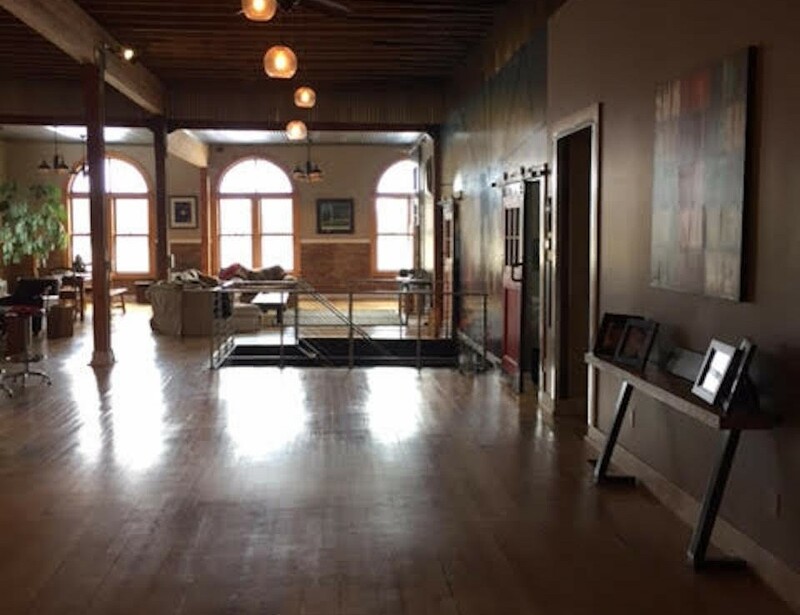 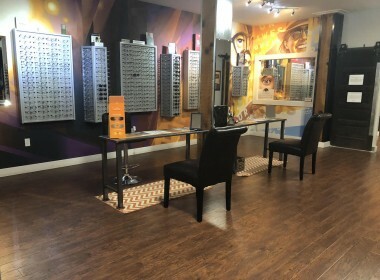 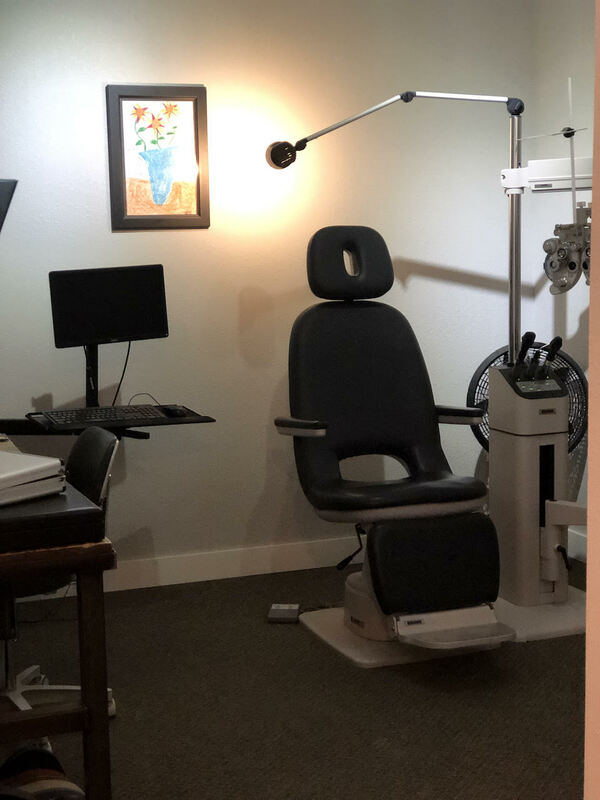 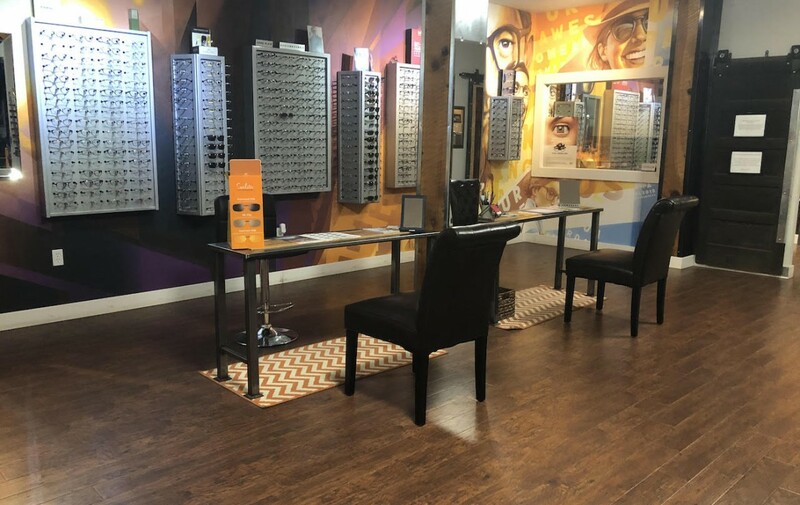 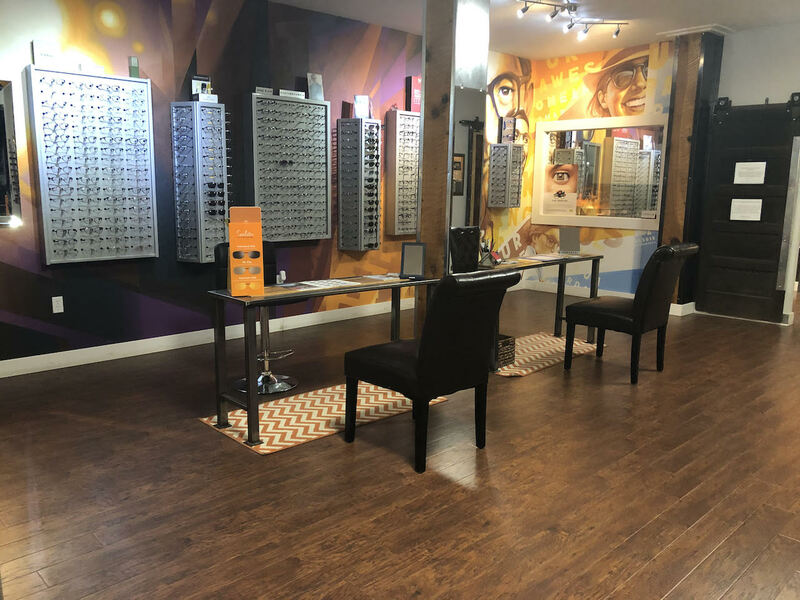 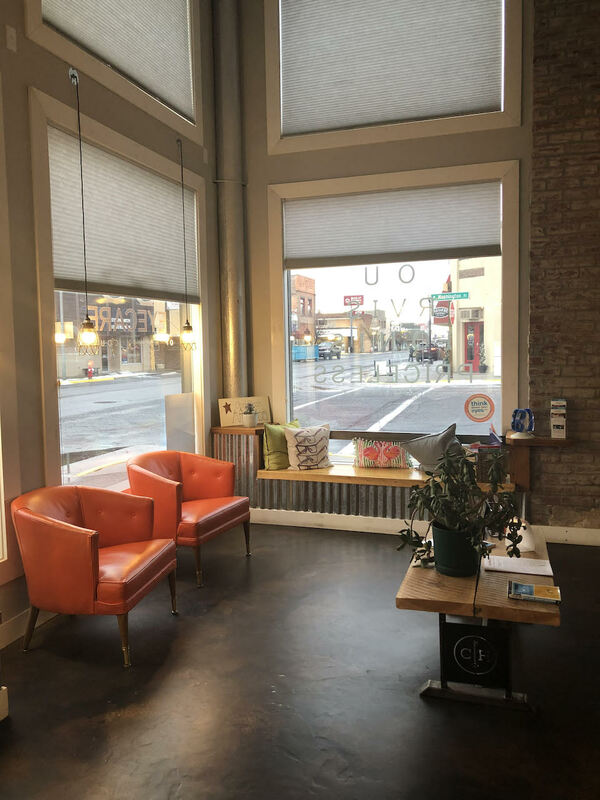 First it is a beautiful piece of artwork inside an out, secondly it has a 5000 sq, ft. residential loft, and third it has a 3000 sq, ft. fully renovated space below on the South side which is currently the home of Family Eye Care Clinic and on the North side is a beautiful 2500 sq, ft. retail space currently occupied by Robins Closet clothing store. 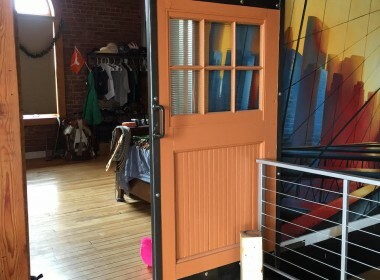 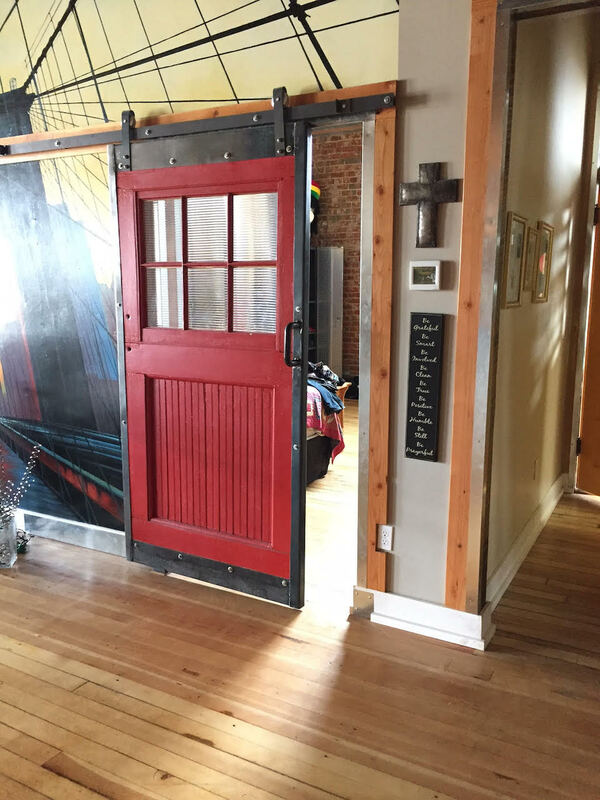 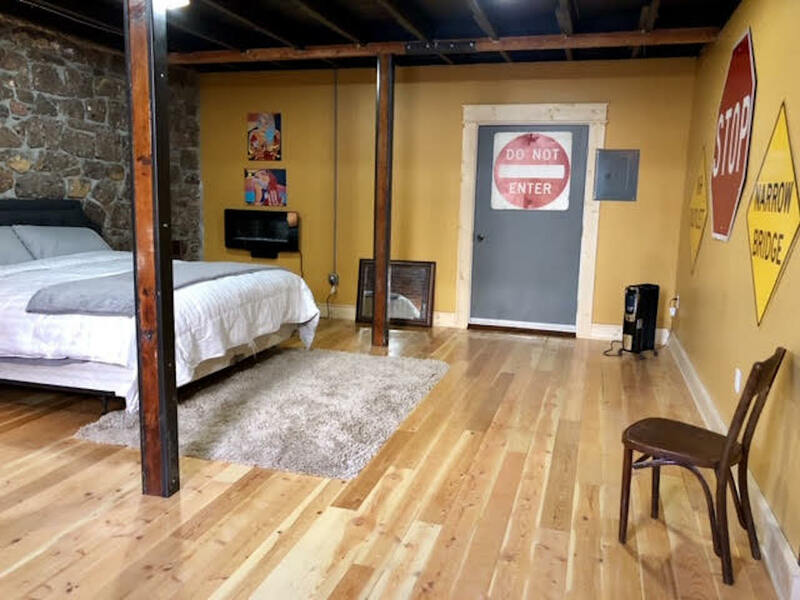 There is also a Cecilia’s Speakeasy large single studio Airbnb which is gorgeous. 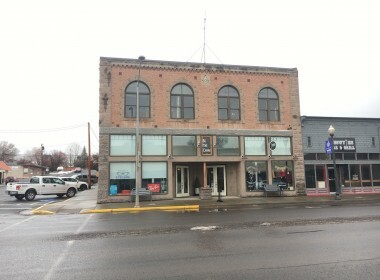 The building itself is stone, brick and wood frame. 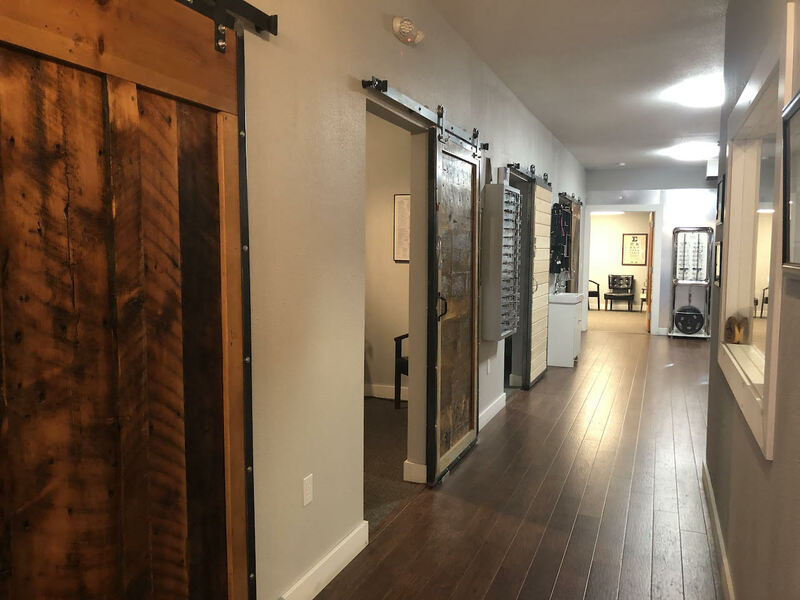 There was great care in adding additional structural support beams throughout the building for added strength during the remodel. 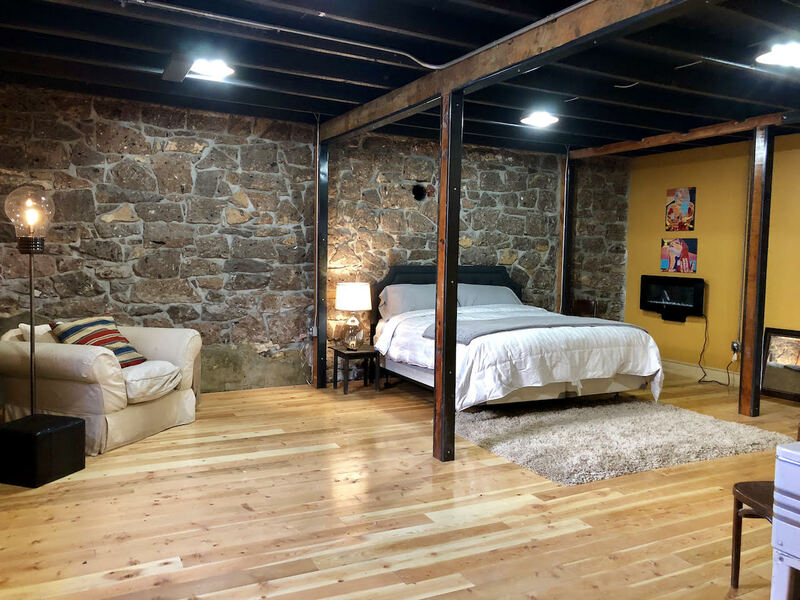 The lowered ceilings were removed to expose the tall loft wood beams and added additional height. 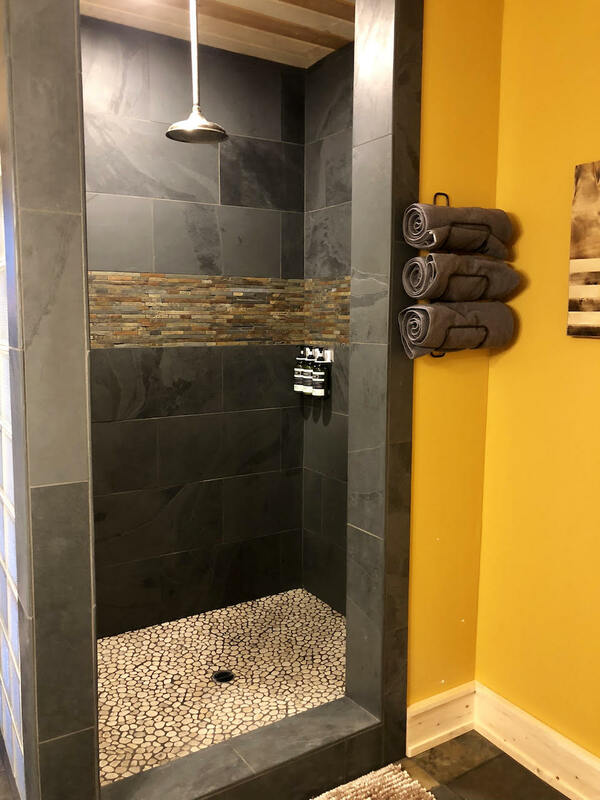 The loft has all hardwood flooring throughout as well as tile in the bathroom areas. 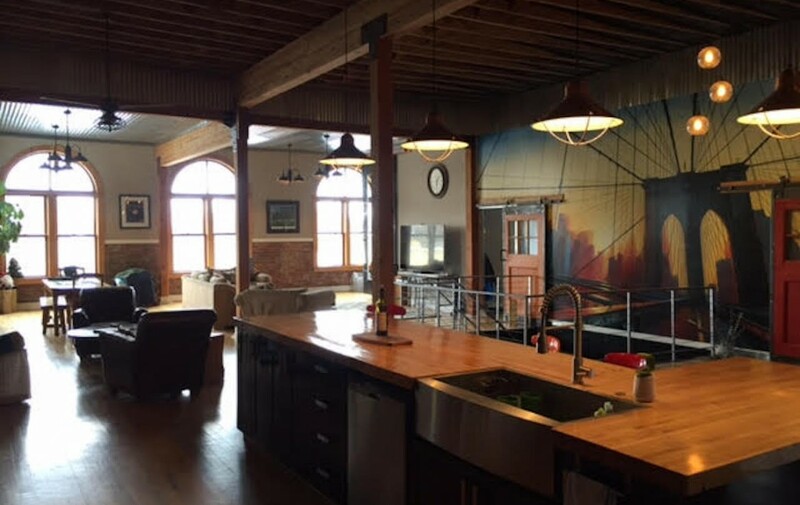 The loft area has three bedrooms two and a half bathrooms. 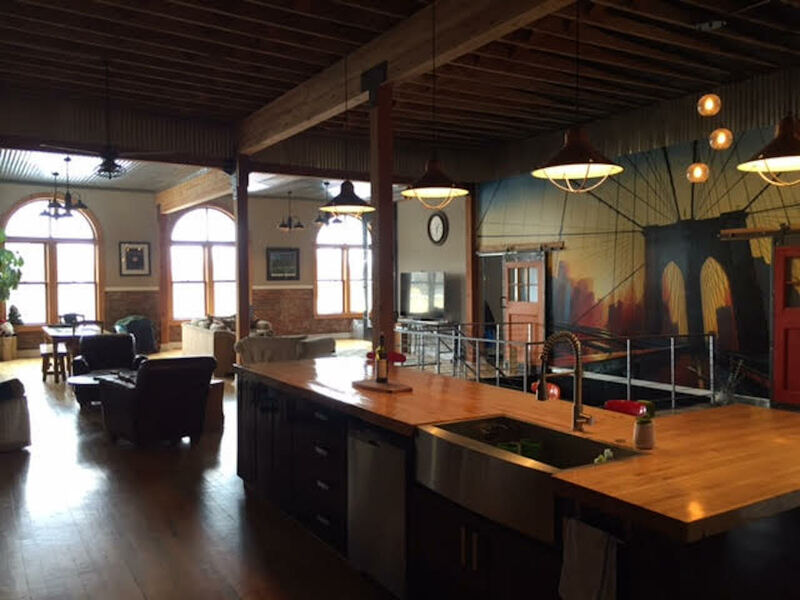 There is an open kitchen, living, entertaining area which is huge and spacious. 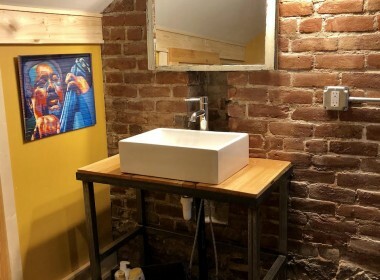 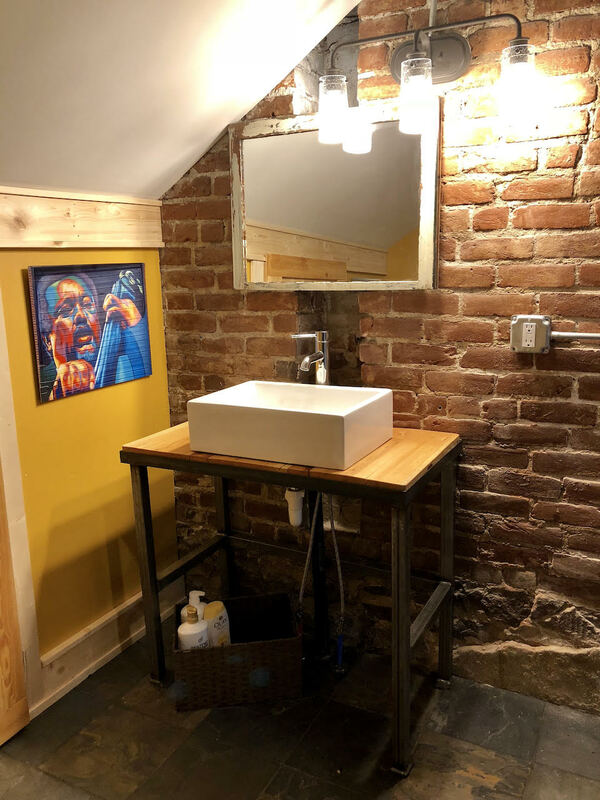 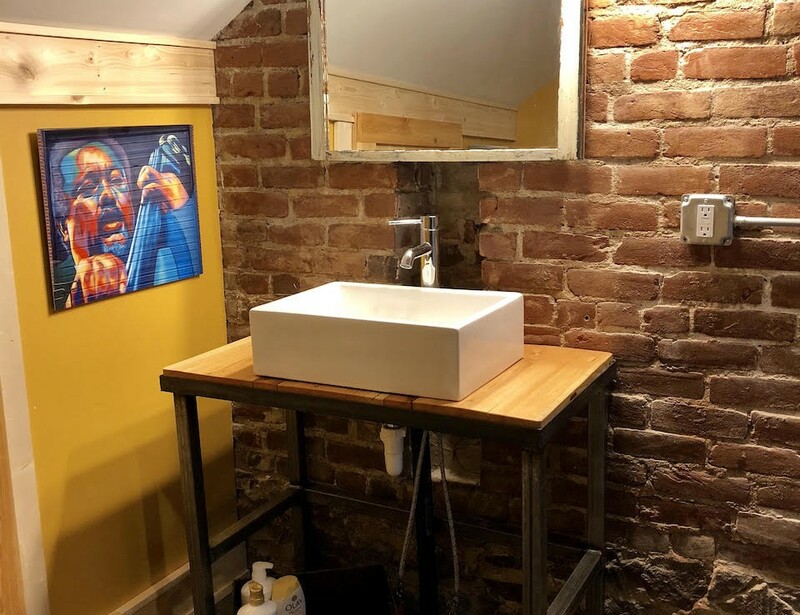 The kitchen includes all the appliances, custom propane range/oven, custom bowling ally counter top, continuous hot water system, huge pantry, pellet wood stove and exposed brick walls. There is also a stairway in the back (main entry into the loft) as well as a stairway which goes down into the eye clinic. 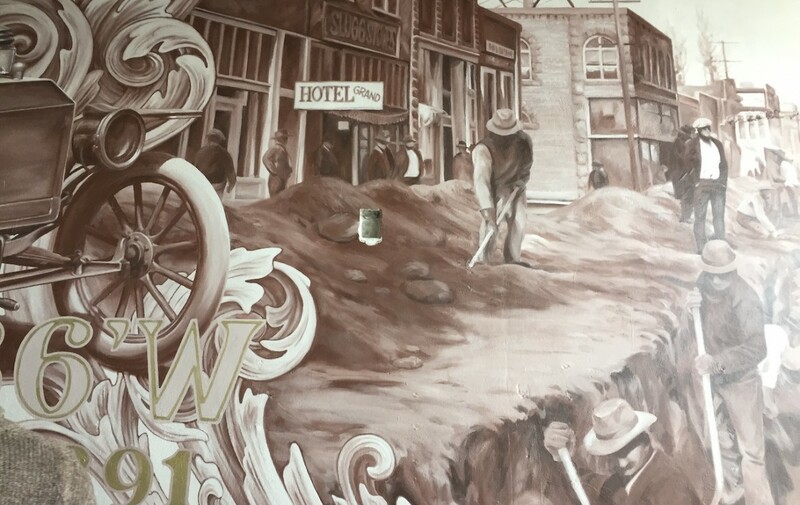 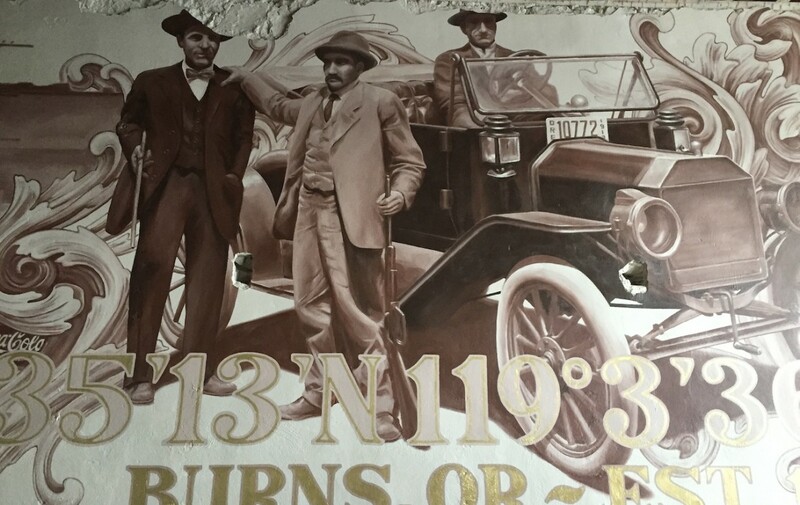 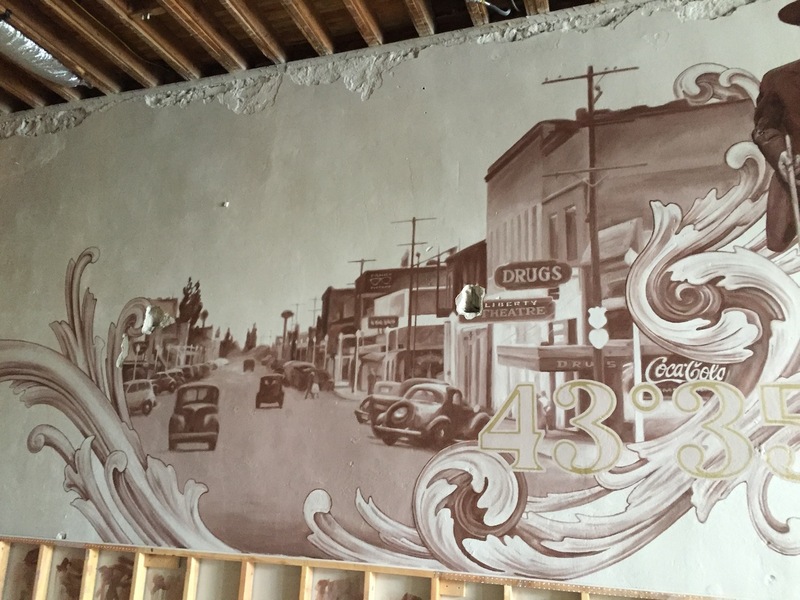 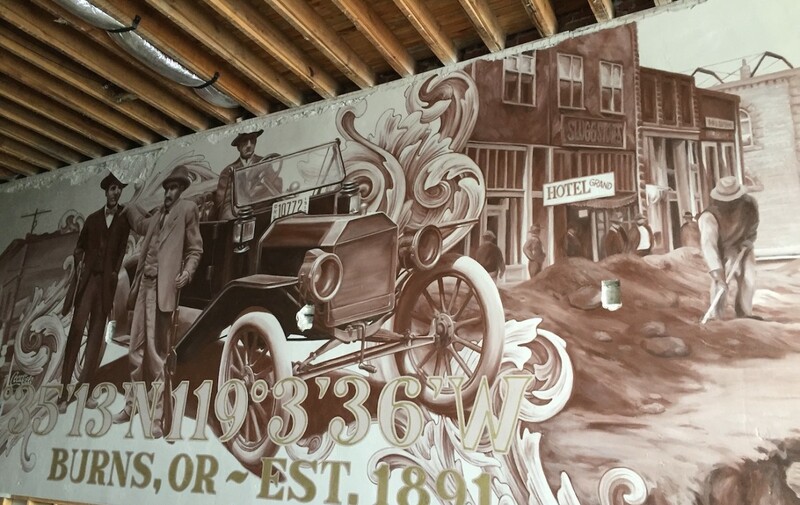 Incredible hand painted murals throughout the building also gives it that New York industrial feel. 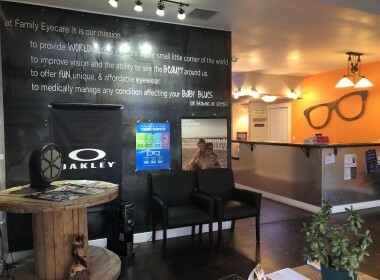 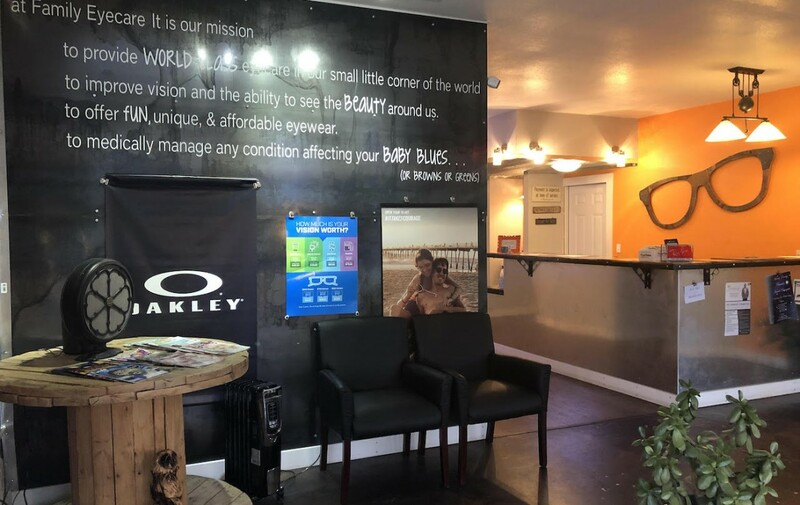 The eye clinic currently leases the space for $1500 per month. 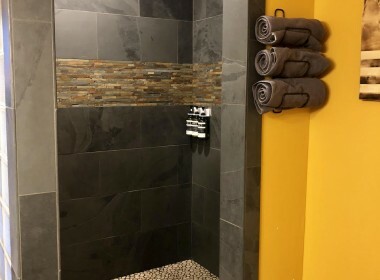 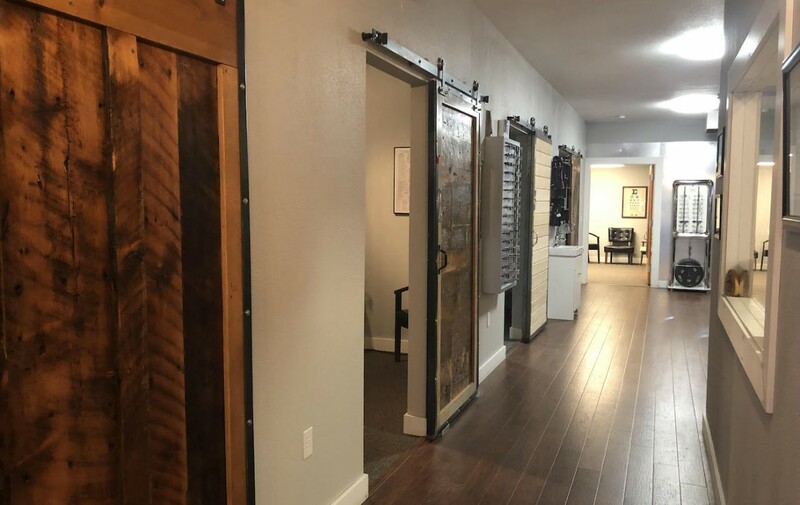 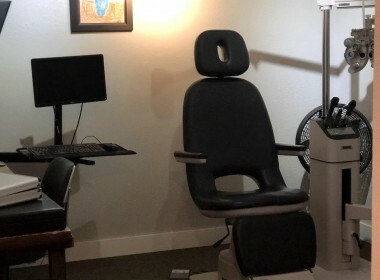 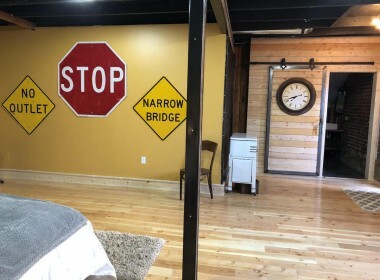 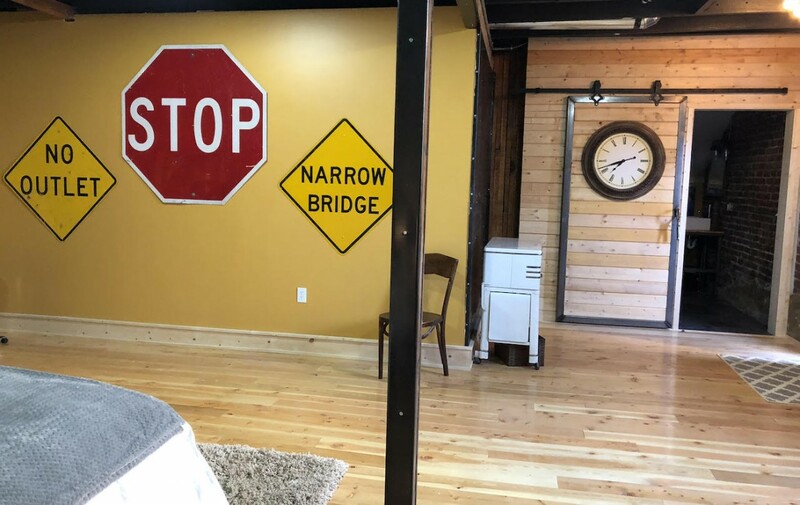 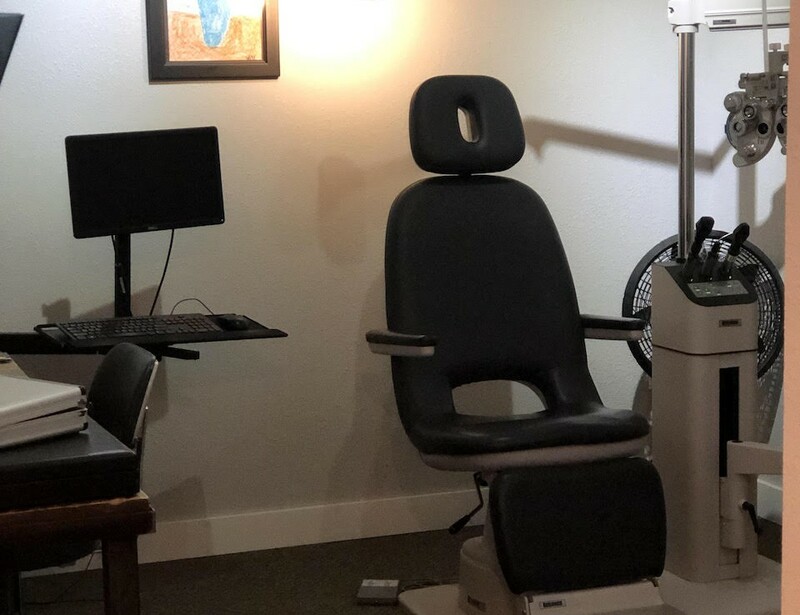 The clinic area has a number of examination rooms, beautiful large stamped concrete lobby and reception area, custom hand made barn doors, a rear office and two bathrooms, one public and one private. 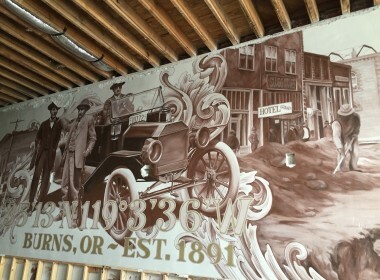 Electrical and plumbing have all been updated and in good working condition. Entrance is off of the main street. 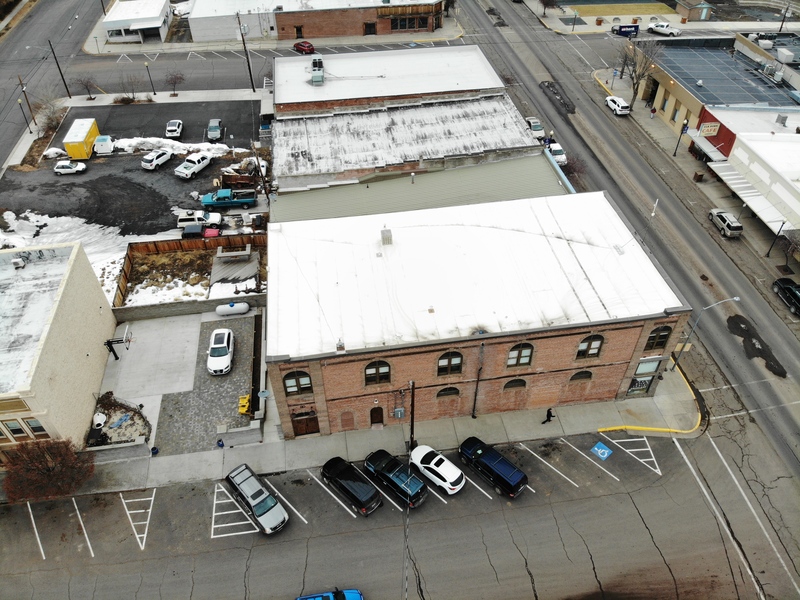 The lower portion of the building is heated with a heat pump on each side for heat and air conditioning. 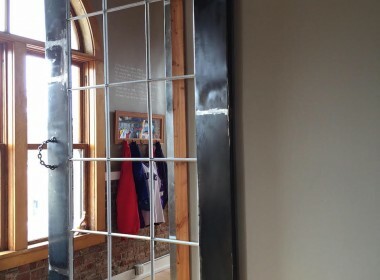 Robins Closet retail North Side is the nicest retail space in town. 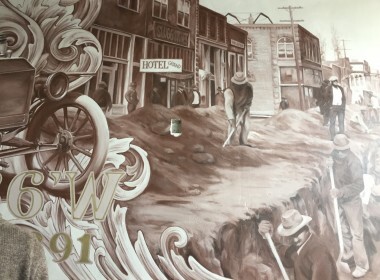 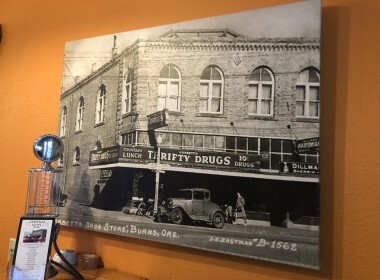 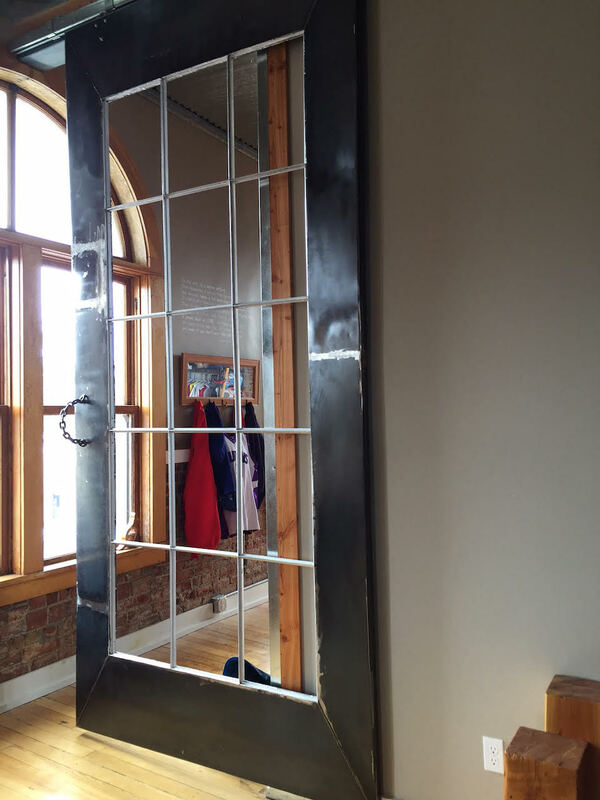 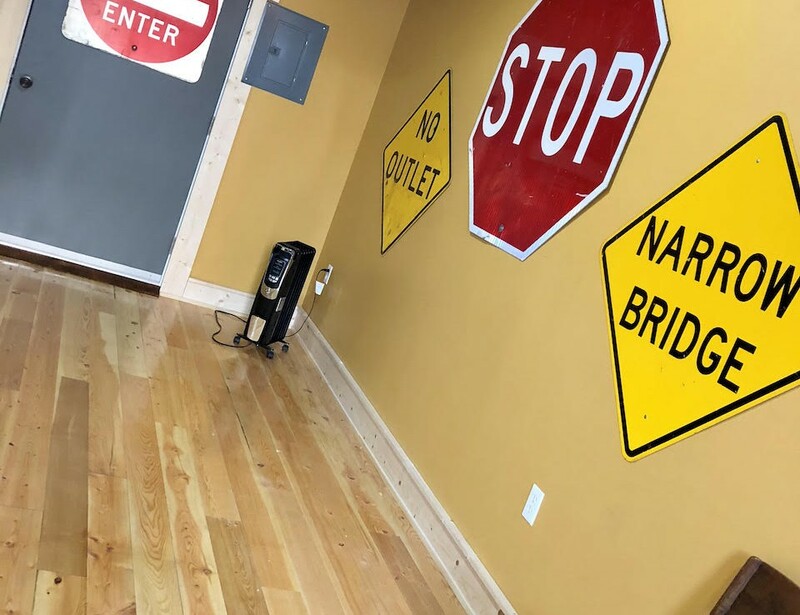 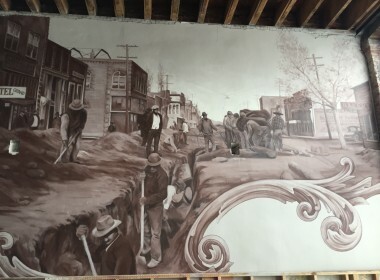 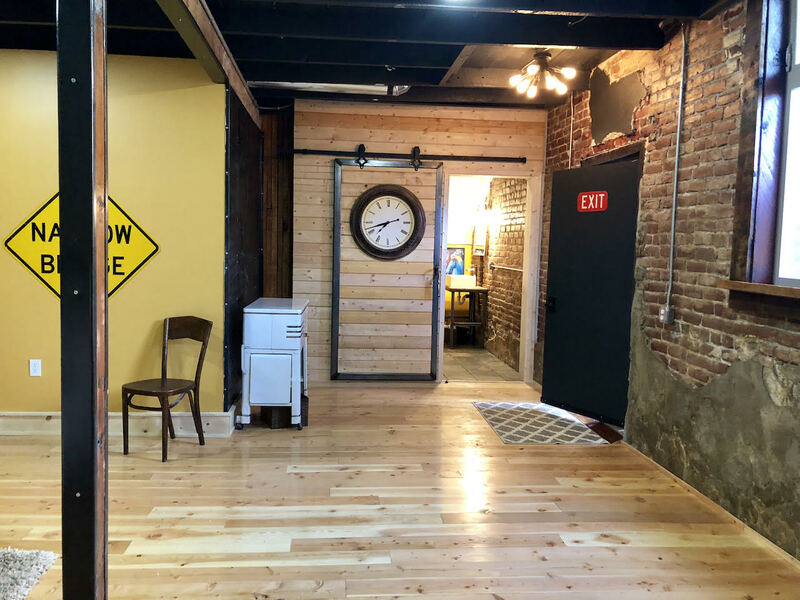 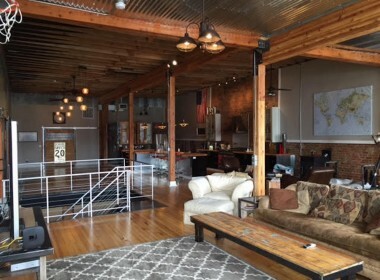 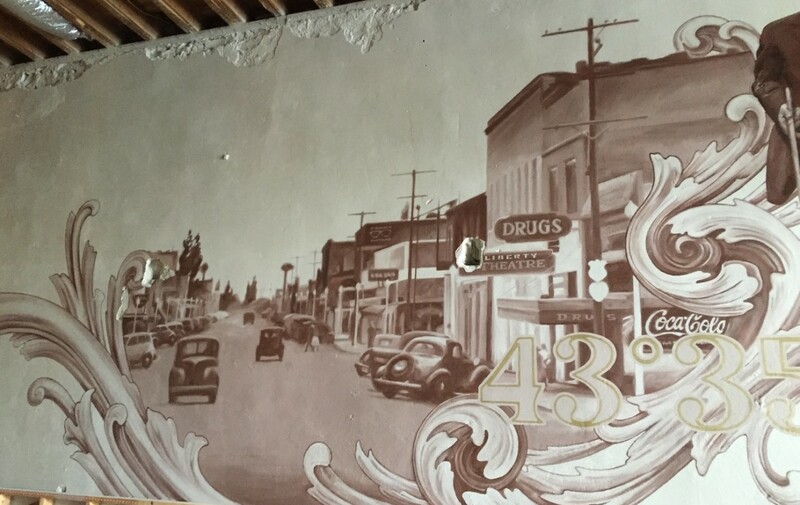 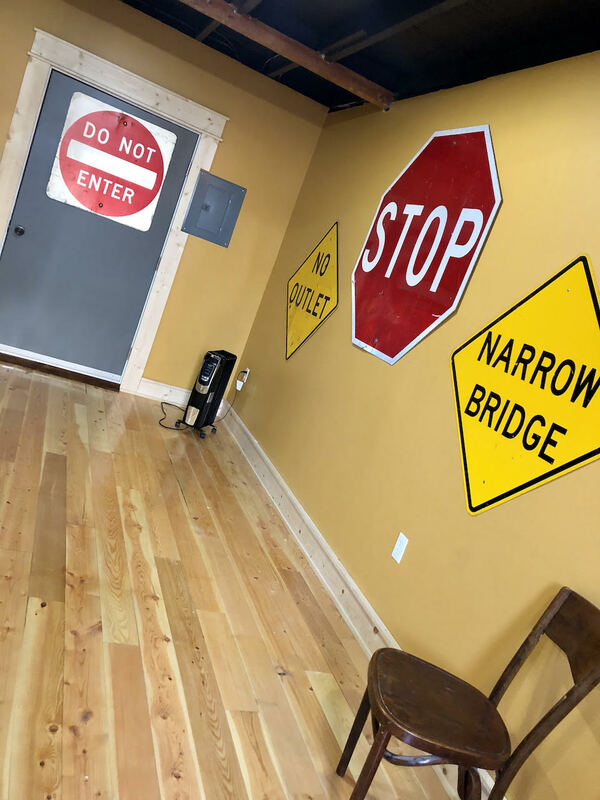 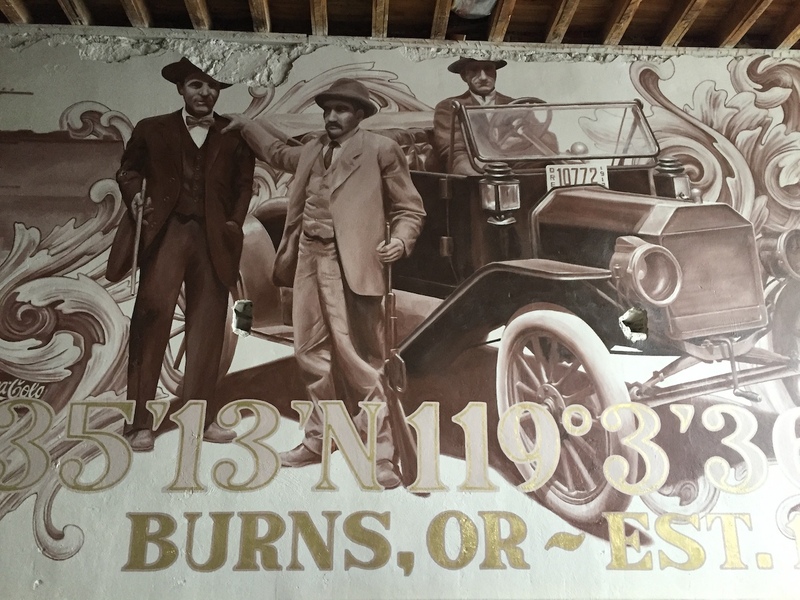 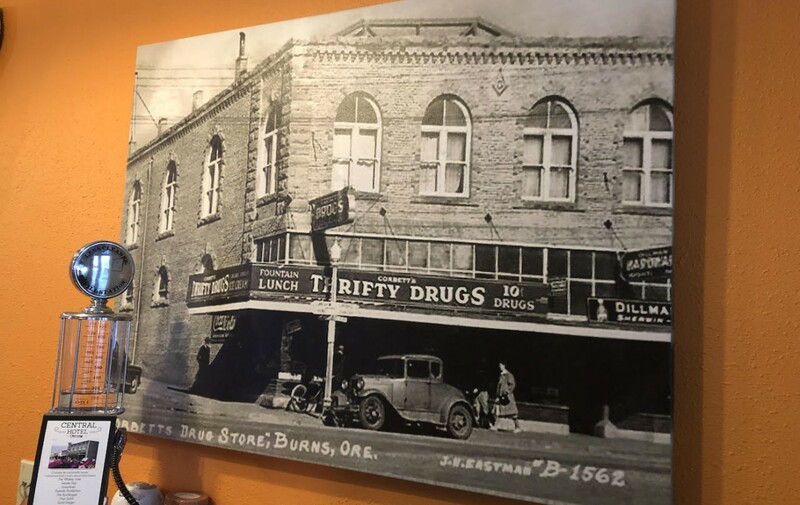 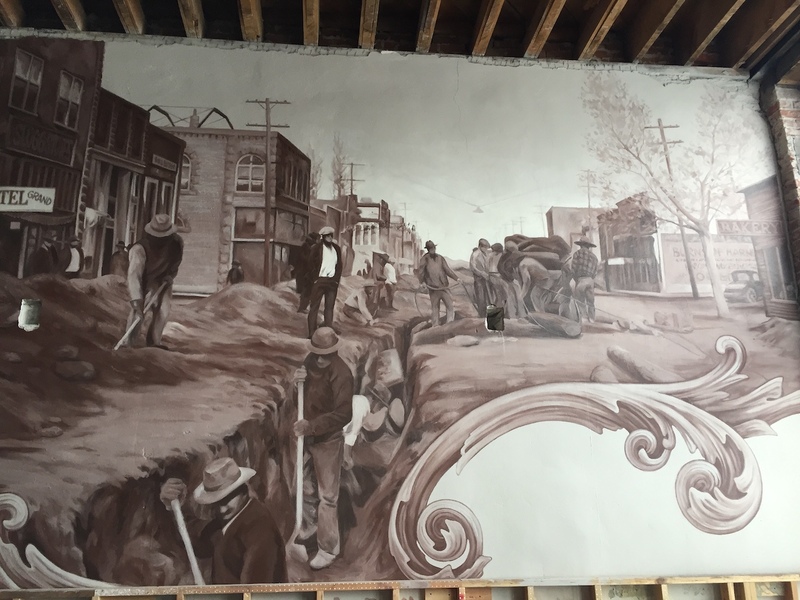 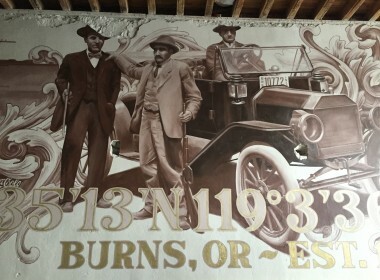 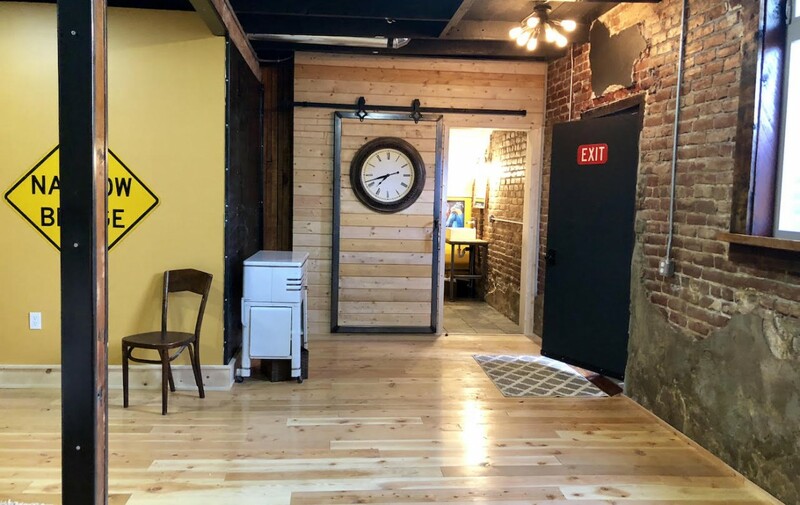 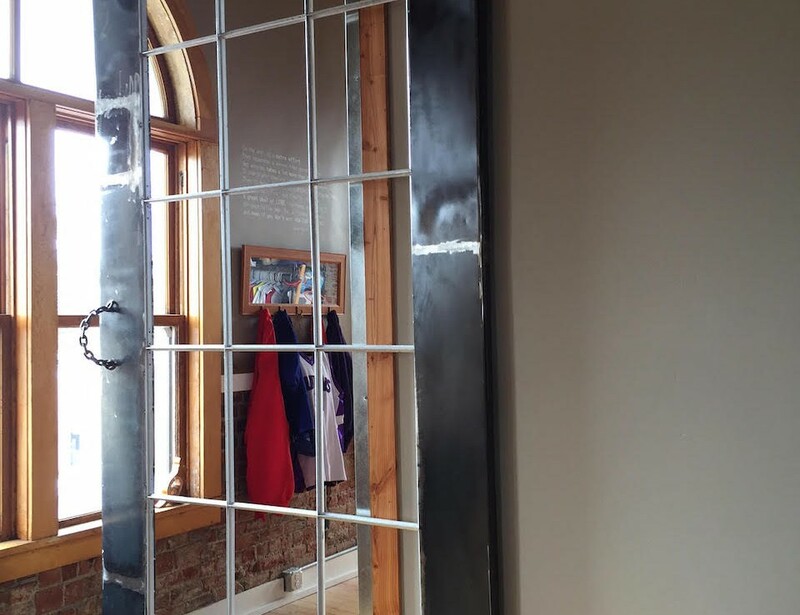 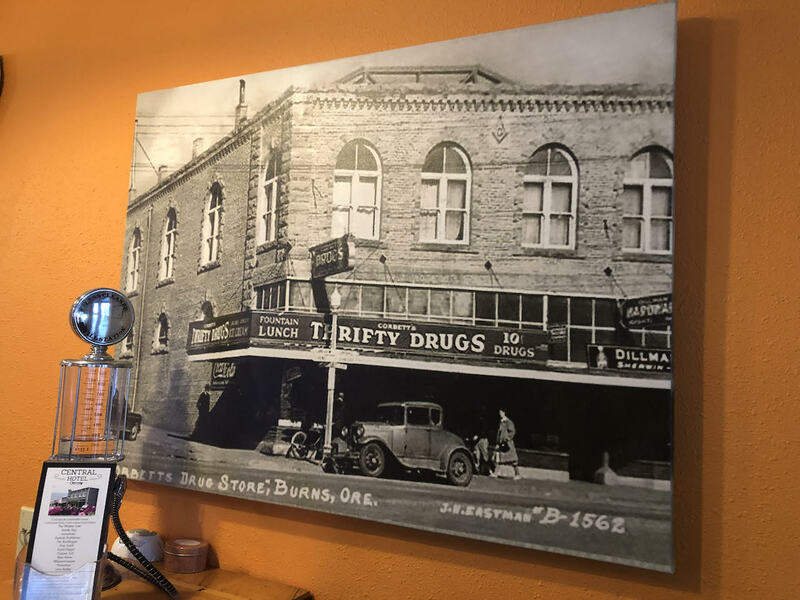 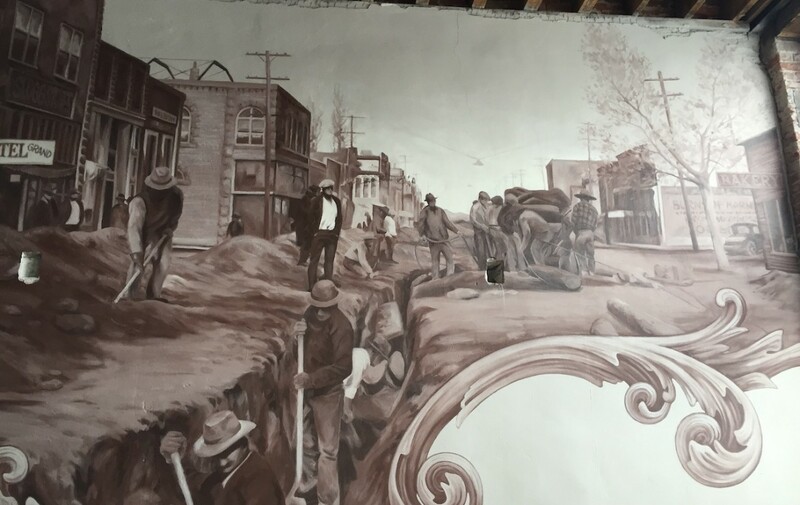 The area is huge with exposed wood beams, wood & concrete flooring, partially exposed rock walls with an amazing hand painted mural of historic Burns Main Street. The rent on this property is $550 per month and tenants on both sides pay their own own utilities. 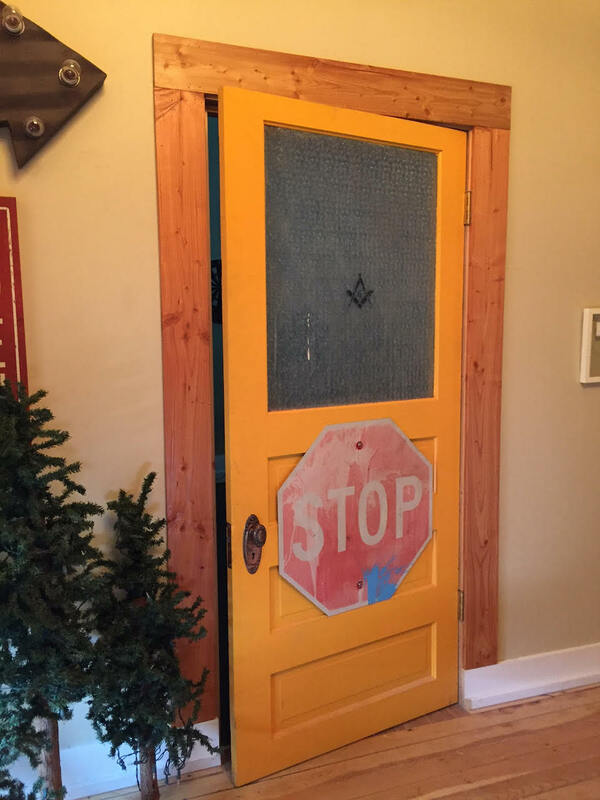 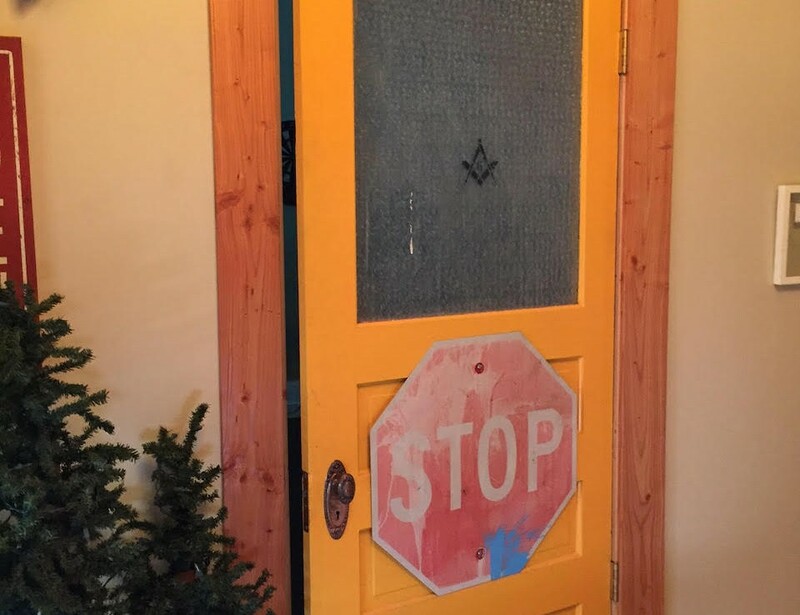 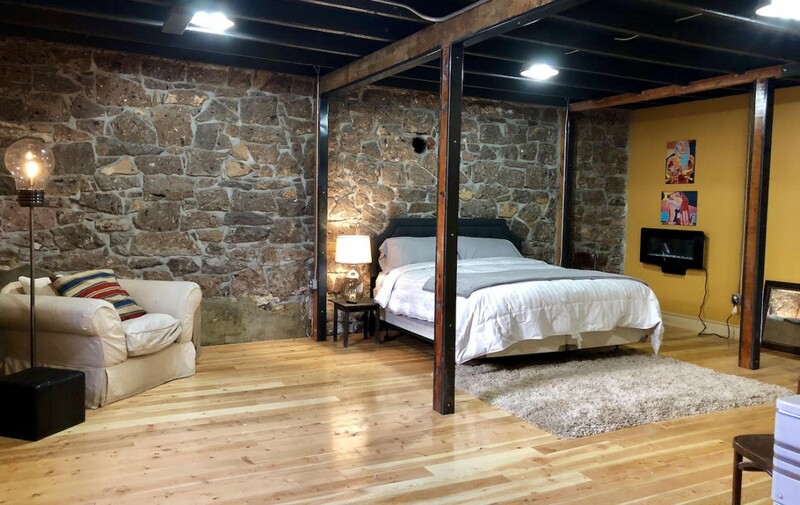 There are so many things to mention about this property that it is hard to describe, a person really needs to spend about two hours walking through the property to really appreciate everything that is there. 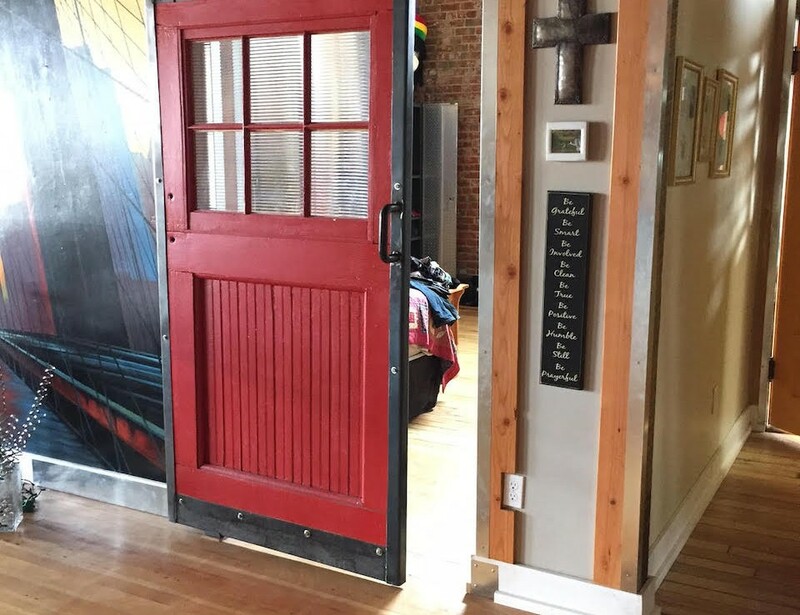 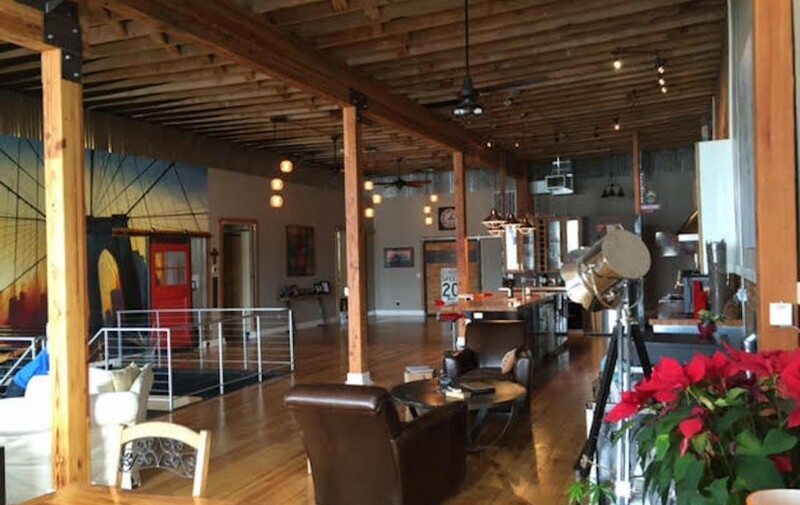 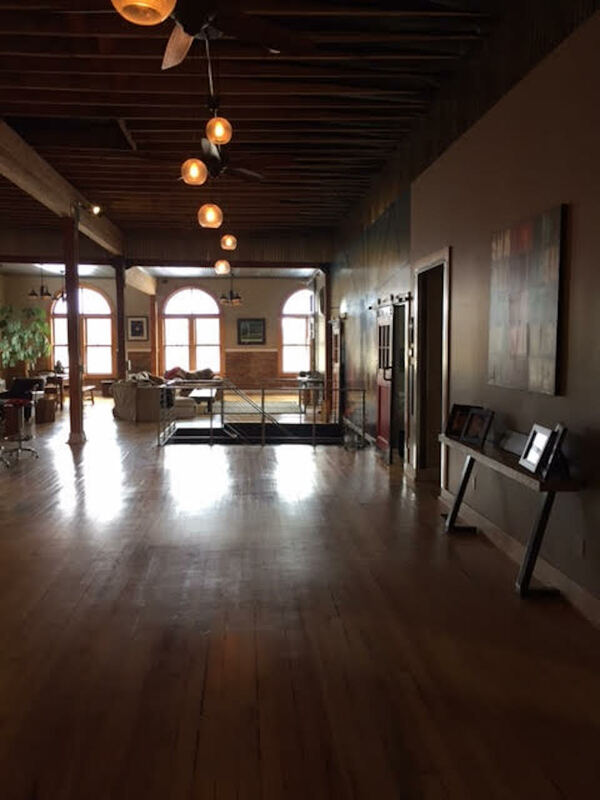 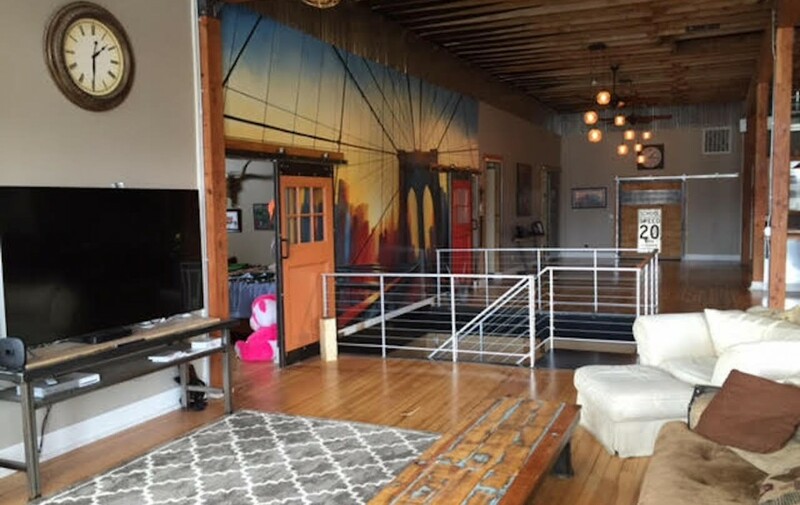 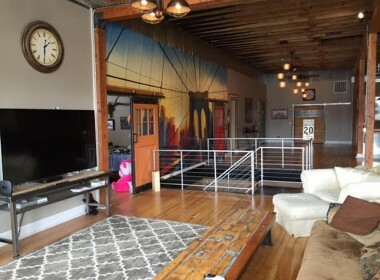 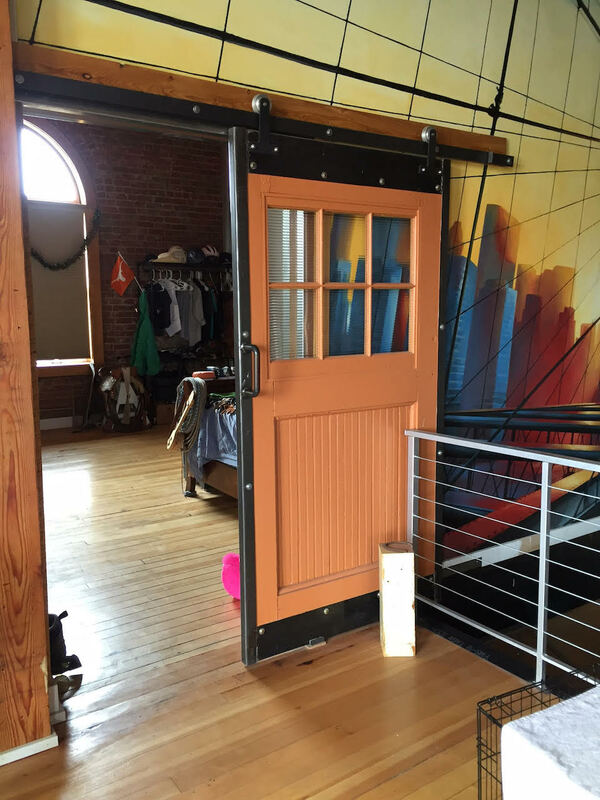 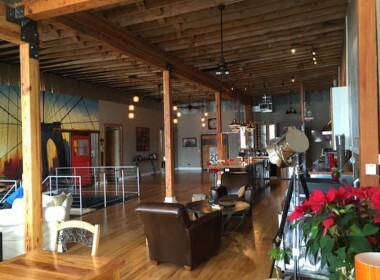 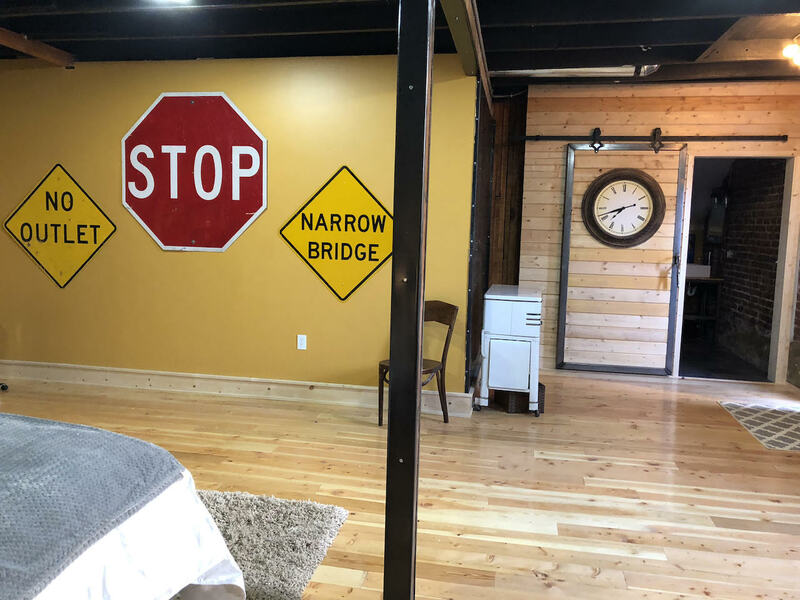 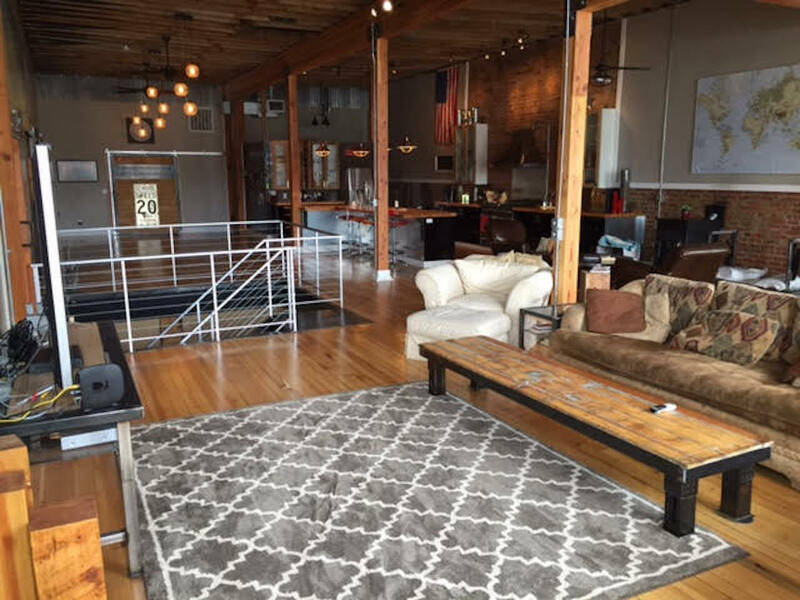 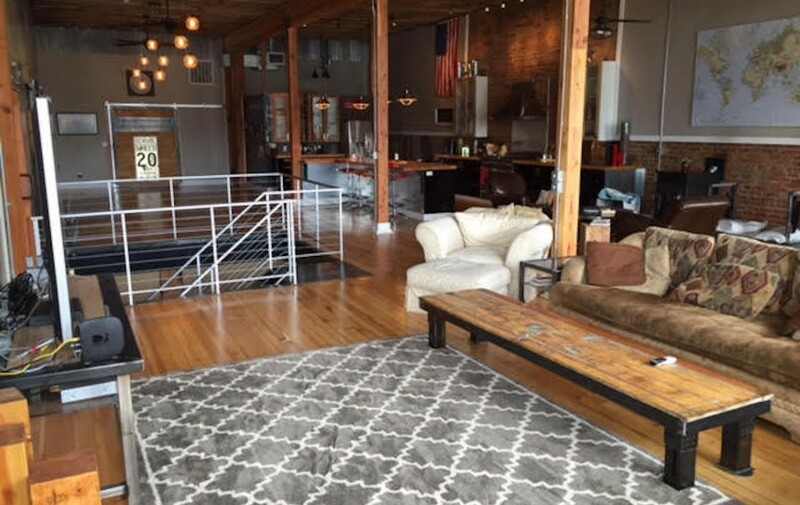 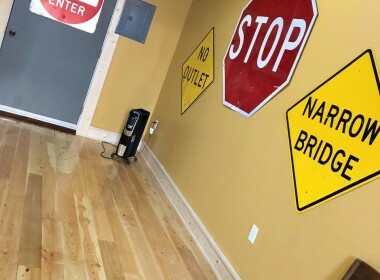 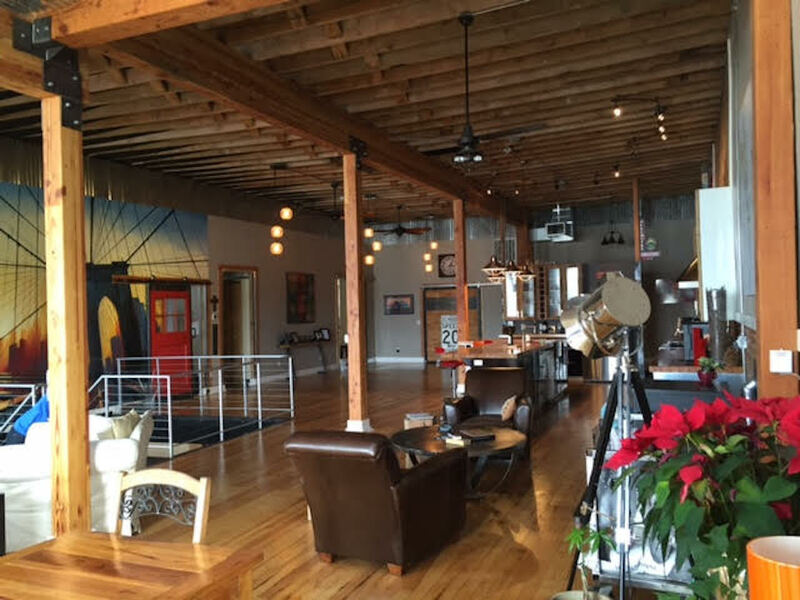 The owners have also used the loft area in the past as an Airbnb as well and have been tremendously successful with it. 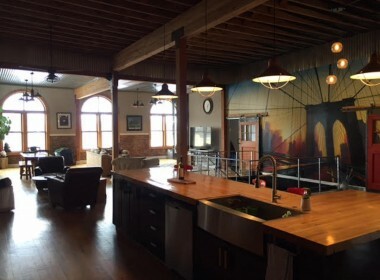 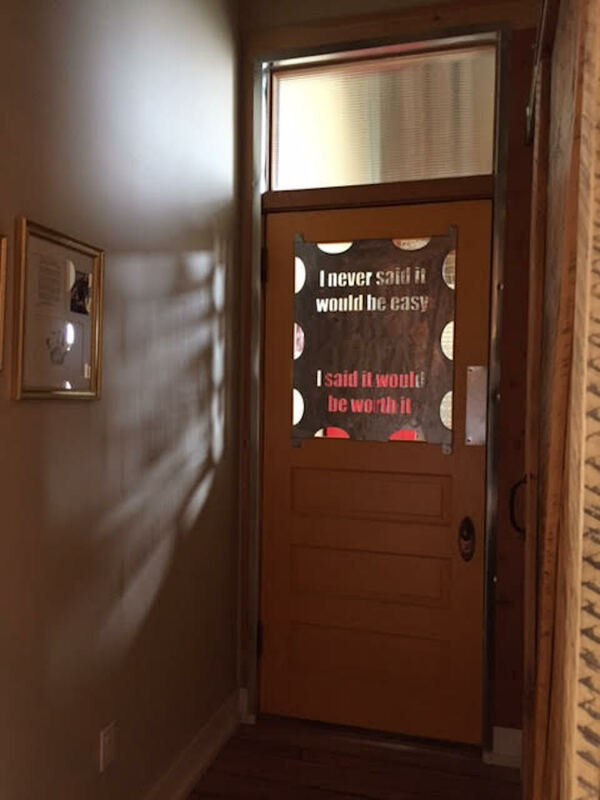 The Cecilia’s Speakeasy also is used as an Airbnb and brings in a good amount of income in as well. 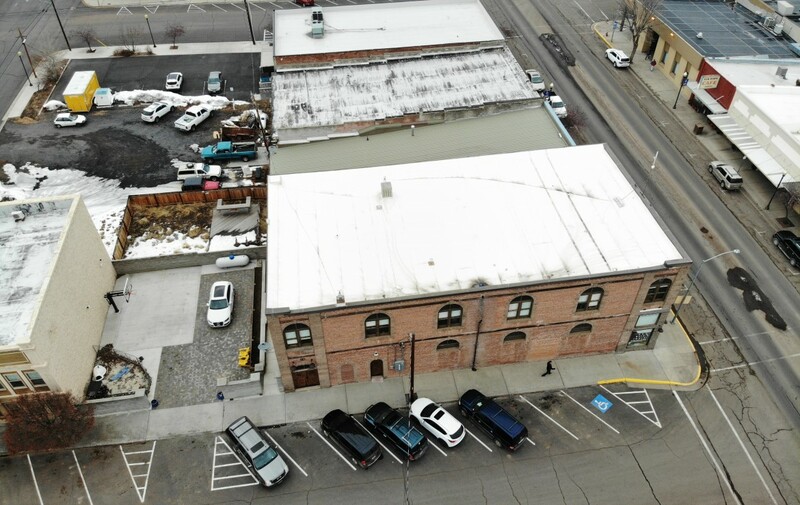 The roof is in excellent condition, it is a rubber membrane roof and has been well taken care of and is 15 years old. 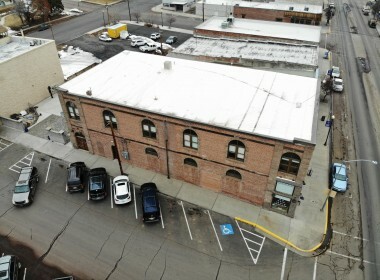 The property also has a large “back yard” which has a brick/block wall. 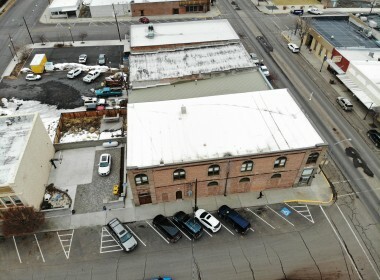 The main area is pavers and a concrete basketball area, or it can be used for entertaining and parking if needed. 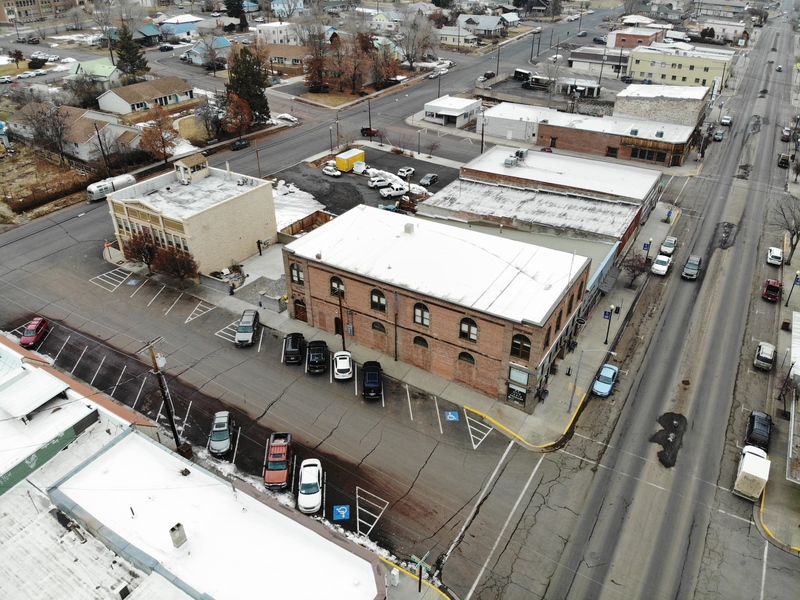 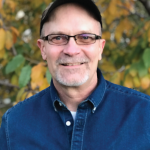 They also have a contract with a local internet provider who uses the roof for one of their towers, they get free internet service as well as $850 per year to let them use the roof. 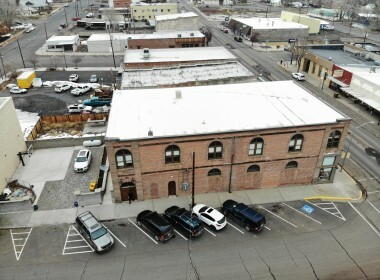 Bottom line this property will do noting but increase in value. The hard work has all been done, and I think one of the biggest bonus features of this property is that you have multiple income options with it as well as being your main residence. 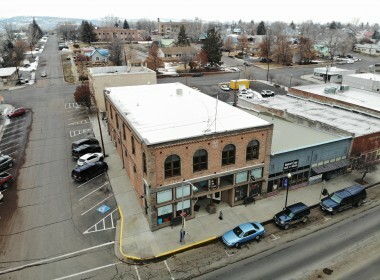 Burns downtown is growing and will continue to grow. 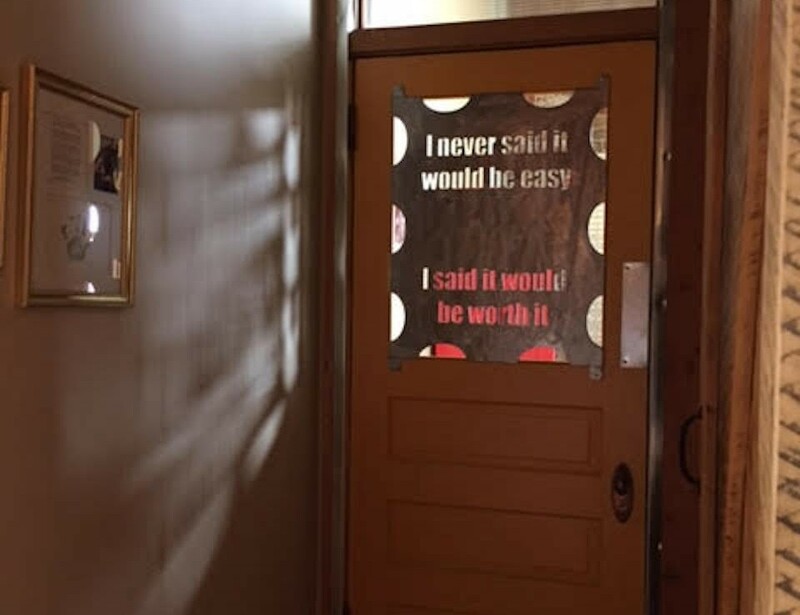 Get in on it now. Contact Robert Paramore at: 541-413-1717 cell to set up a private showing of this property today!